“We have successfully created misery and ill-being in our opulent materialistic societies”, declares Vincent Liegey. The engineer and spokesperson for the Degrowth party (PPLD: Parti Pour La Décroissance) does not stop at slaying the myth of the never-ending growth. Together with the co-authors of the book A Degrowth Project, he proposes to give each citizen an Unconditional Autonomy Allowance (Dotation Inconditionnelled’autonomie): a living income with the potential to open many horizons, as well as an invitation to question the meaning of our society. Basta! : Implementing a basic income, also called living income or universal allocation, is an emerging claim. You are offering a new proposition towards it. In what way is your project original? Vincent Liegey: The basic income consists in giving each citizen an income, unconditionally, from birth to death. It is a very old idea that we have contributed to exhume, but we take a critical view of it: this type of income could be inscribed in our actual economic system, without toppling or questioning it. Even Milton Friedman, one of neoliberalism’ s fathers, supported a basic income – by supressing social minimums and unions, and by letting the market’s “invisible hand” be in charge! We have developed a proposition, the Unconditional Autonomy Allowance (UAA), based upon past reflexions, but which is outside the commercial system. In short, some kind of “demonetised” basic income. How is it allocated to the citizens? We think that the UAA cannot be given in Euros but in access rights, in resource usage rights, and with alternative monetary systems. It is about providing every citizen with the necessary to lead a decent and frugal life: a “land drawing right”, so that everyone can have access to housing, a workshop or a piece of land to achieve food self-sufficiency. An entitlement right on the basic natural resources: water, gas and electricity: the first kWh or m3 would be free of charge. And an incremental tariff is applied to penalise consumptions deemed to be excessive. Why should we pay the same rate for drinking or cooking water and to fill up private pools or wash the 4X4? The UAA would also grant free access right to public services, education, culture, and funeral services… And, the third element: part of the UAA would be paid in local currencies to support local consumption, for example food and clothing. This proposal brings about a collective reflexion on what we produce, how we produce, and for what use…. We are faced with a systemic crisis in which everything is linked. It is impossible, even dangerous to pigeonhole things; otherwise, we loose the meaning of our actions. As one of the Degrowth’s thinkers Nicholas Georgescu-Roegen said, we started to loose it when we compartmentalised sciences*. We are able to make smartphones and very complex objects, but we are unable to step back to understand the ecological, cultural and social impacts these items create. And many people do not know why they are working anymore – apart from receiving a wage. We must break away from the logic of manufacturing things with a limited life. We must also abandon the cultural planned obsolescence spurred on by advertising that is pushing the sale of more and more products we don’t really need. Working more to produce always more useless things! Many reject this logic. The UAA allows people to free themselves from the constraint of work; the obligation to endure more and more meaningless jobs. It is about experimenting, rekindling the meaning of workand to reappropriate the tools. And repair, recycle, share know-how so that people can become autonomous. Practically, how can this UAA be implemented? The transition scenarios have long-term perspectives. They are based upon the fact that transition is already on its way: it is about to extend all the practical initiatives that are unfolding throughout the world, breaking away from the dominant system. Two approaches can act as catalysts: the reduction and sharing of work, to do away with unemployment and reinvest the extra free time in political participation and the development of practical alternatives. The second lever is the implementation of an unconditional basic income, which is very simple from a technical standpoint and only requires political courage. Everyone receives € 700 or €1000 at the regional, national or European level. This will slowly liberate people from the constraint of work and they can participate in society’s transformation. And in time, this income will be demonetised and be turned into an Unconditional Autonomy Allowance. Funding is not a problem. It is not an accounting matter, but a political choice. Our societies have never been so rich materially. But we have reached record inequality levels – 1 to 4000 ratio between minimum and maximum income levels! Transition’s first stage: reject inequalities and implement a decent minimum income. A 1 to 4 ratio between the minimum and the maximum income seems interesting to us. We have to decolonise our imaginary, mainly the idea that becoming very rich is an objective in itself, and that the very rich people’ lifestyle brings happiness- it has not be proven yet! The first degrowth must be a degrowth in inequalities. Then, let’s ask ourselves the question: must we repay the public debt that will never completely be paid in full anyway? Who are its beneficiaries? Why maintain a strong currency? We must do away with the dogma of the independence of central banks and reappropriate the creation of money. Aren’t maximum income – and Degrowth –an attack on the “freedom to consume”? We are living in an illusion of powerfulness, since we never see the “externalities” our lifestyle create. The freedom to drive a 4X4? Totally illusory! The 4X4 driver does not see all the ecological and human impacts of this action. The military-industrial complex is controlling crude oil resources exploitation and expropriations for the culture of agro-fuels, as well as very harsh working conditions to produce car parts. This freedom is rather costly. If he had to pay the real price or endure all these constraints, all the necessary sacrifices to enjoy one hour of driving, the driver would see this freedom from a different angle. It is not a matter of imposing bans but to expose the real human and ecological costs, this in turn leads to consider the many, seemingly innocuous, consumptions from a different perspective. Does endorsing Degrowth mean to renounce a certain comfort? We have managed to create misery and ill being in our opulent societies. Someone receiving the minimum income in France endures harsh conditions, but he/she still leaves an unsustainable ecological footprint. Today one can have a car and still be miserable. Because of the way work is organised, urbanism, our dependency on a high-energy system… the studies on the qualitative well-being indicators show that material comfort level in itself is not the most important, but the level of inequalities is: the greater the inequalities, the greater the ill-feeling. Tending towards frugal, ecologically sustainable societies does not equate with a return to candlelight. The stakes are to return to a far simpler society, to another type of material comfort without jeopardising the achievements achieved so far. As Ivan Illich, another Degrowth thinker, invited us to, we must exit the mega-machine, the techno-structure, to rediscover what has been destroyed: conviviality, solidarity, “buen vivir”: this concept of the “good life” developed in Latin America. Does the Unconditional Autonomy Allowance challenge private property? Private property often goes against the common interest. Land and real estate provide a case in point: there are many empty buildings and always more homeless. It is a political choice, intolerable. We must enact requisition laws. It is the same with food: a billion people are malnourished, even though we have the technical capacity to produce enough food for all. We support the idea that drawing rights could challenge private property. It can be done in a barbaric manner, by decapitations – history has shown this already! But our approach is non-violent, in total opposition to ecofascist forms wishing to impose a sustainable ecological footprint to all overnight, in the name of a political truth. Historically property right was imposed through violence and expropriations. It does not mean we have to replicate it…. Is it possible today to enact expropriation laws without violence? Nobody knows? “Neither reflation, nor austerity”, you say, but how is Degrowth achieved? Today’s political solutions are wrong. With austerity we are creating a growth society without growth. It is the worst scenario. Reflation is not a solution either. It is based upon the imaginary of the Glorious Thirties’ enchanted period and its unprecedented economic development, that was only possible because everything had to be reconstructed, and there was an excess of natural resources thanks to our ex-colonies. A return to this situation is neither possible, nor desirable. Austerity is barbaric and reflation is nothing but the pursuit of the myth of growth. What will facilitate a move towards Degrowth? Degrowth is not one-dimensional, there is not one Degrowth project per se, but many possible transitions. It is essential to cultivate an array of approaches and sensibilities. Through its provocative slogan Degrowth’s aim is to free up other worldviews. We are attempting to think utopia – that is what we are tending towards – knowing that we might never reach and to define a transition project with our actual society as a starting point, whilst being in total rupture with it. Of course we are faced with many contradictions. We have to start from our actual model we did not choose; hence the need for compromises. What matters most is that we know where we are heading for and to confront our contradictions with humility and auto-criticism, according to the diverse strategies chosen to transform society. Is Degrowth making headway into political parties and society? A few years ago no Left party was openly anti-productivist. Nowadays, no one dares to say otherwise: even though, culturally, they have difficulties describing themselves as pro-productivism. The Degrowth movement, through its radical views and its role as an impediment to dead end-thinking is listened to and respected. It challenges. 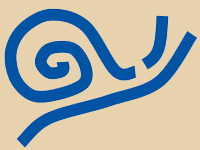 Two movements formed around Degrowth are: Movement of Growth Objectors (MOC: Movement des Objecteurs de croissance and the Degrowth Party (PPLD: Parti pour la décroissance). Growth Objectors exist everywhere. According to Paul Ariès, this movement is at once a political UFO and a BYO (Bring Your Own) – DIY (Do It Yourself), with undefined limits. And it’s great! It reaches far beyond our movements and political parties. Many people don’t define themselves as Degrowth supporters but they share some values, by trying to organise free time in their agenda on a day-to-day basis, and to have another relation to work, another life rhythm. It is matter of exploring the question in depth and to open up to other “possibles” to get out of growth. Recommended reading: Vincent Liegey, Stéphane Madelaine, Christophe Ondet et Anne-Isabelle Veillot, Un projet de Décroissance, Manifeste pour une Dotation Inconditionnelle d’Autonomie, Éditions Utopia, 2013. 156 pages, 7 euros. * This mathematician, economist and sciences philosophe tried to establish the link between the economy, physical and biological sciences. The father of bio-economics, he introduced the physical concept of entropy in his economic analyses and he used thermodynamics to demonstrate that natural resources get irrevocably depleted. His analyses have led to the concept of Degrowth.